Vladimir Putin, Donald Trump’s Best Friend Except Not Really, is apparently an expert on Well-To-Wheel analyses. At the Russian Energy Week conference in Moscow today, he gave a nice long-winded explanation on why electric cars—which he actually likes—are dirtier than gas cars. 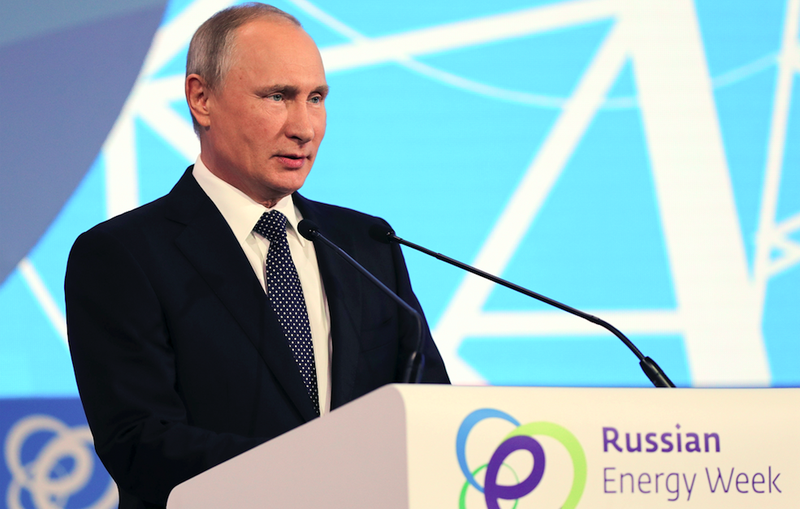 Russian Energy Week, a forum put on in Moscow and St. Petersberg to discuss “prospects for the development of such core sectors of the economy as the oil, gas, coal, and petrochemical industries” hosted Vladimir Putin today at the country’s capital. Among topics Russia’s leader got to discuss was electric cars, which Putin says he likes despite them being worse for the environment than gas vehicles (RT interpreted this as meaning “natural gas” vehicles). Yes I certainly can imagine that...I had an opportunity to drive an electric car... Russian manufacturers who are dreaming to produce electric cars showed me....I was given a chance to sit behind the wheel, and I must admit that I do like such cars, particularly modern cars, which are very fast, very spritely, and for the city environment, that constitutes a very good type of transportation, because, well, you have a lot of people living... You need to avoid the exhaust. The EPA says natural gas is “one of the cleanest burning alternative fuels,” and that cars powered by such a fuel produce 20 to 45 percent fewer smog pollutants and 5 percent to 9 percent fewer greenhouse gas emissions, so Putin may have a point, even if he’s got quite a lot of incentive to keep gas-powered cars on the road.